If you haven’t noticed by now, elopements tend to bring up a lot of emotions in people. From family members to friends, your decision to elope will most likely cause a sideways glance or two. So how do you elope without causing a riff between you and your loved ones? Hopefully these tips will help you navigate the (sometimes) choppy waters! As someone who planned and had a wedding of 125, I too remember a peaceful, calm, and FUN day. 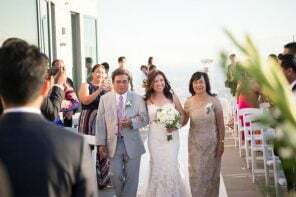 I remember walking arm-in-arm with my parents down the aisle, laughing with my now husband after our “first kiss,” dancing to “Fly Me to the Moon” with my dad, dancing AGAIN until my feet hurt, being way too embarrassed by my friends speeches, and collapsing into bed at the end of the night feeling like I just experienced one of the best times of my life. I look back at our wedding photos and wish I could transport myself back to the day where I remember NOTHING going wrong. Not because everything was perfect, but because I was having too much fun to care. My choice to have a larger wedding was just that…my choice. And choosing to elope is YOUR choice. And BOTH should be based on what you want to do, rather than some manufactured idea of what’s right and wrong with the other. You might not agree with someone’s choice, but as the old saying goes…you should defend everybody elses right to say (or in this case, do) it. And I believe this to be true not only for the family and friends of a couple who has decided to elope, but the eloping couple themselves. and then expect the calls to come flooding in. 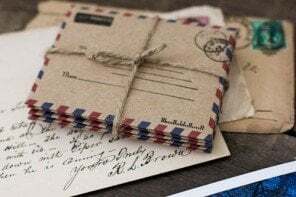 You can also choose NOT to send a wedding announcement, and instead take the time to personally tell family and friends via phone, e-mail, or in person. I know a lot of brides eloping who might think it’s silly to throw a wedding party when they eloped to avoid one, but if you have friends and family who would love to see you and congratulate you (and it’s easier to do this with everybody all in one place), then consider participating in or throwing a casual (or fancy) get-together. It could be a potluck at your Uncle’s, or a dinner party thrown at your friends house, or a brunch made by your mother who can’t wait to invite her friends to share the good news. Or it could be all three. Nothing stressful. Nothing over-the-top. Just a chance to get together after the fact and toast your nuptials. 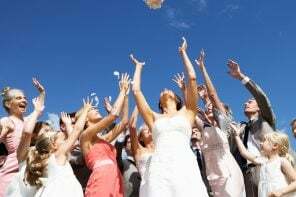 Whether you’re planning to elope or planning a big wedding, getting married should be as stressless as possible for EVERYBODY involved, especially you! If you’re planning to elope we’d love to know what tips you might have not only for couples in a similar situation, but also for their friends and families. What’s been helpful for you? We are planning to elope in a tropical destination next year, and the backlash has been weighing on my mind, but I have decided not to tell my family before. The reason is that if my family get upset beforehand, I wont be able to enjoy the day or stop thinking about it. Telling them after means a carefree wedding and no matter the result afterwards I will have peaceful and romantic memories instead of troubled ones. I read your article and I’m sorry to say I think you are wrong on several points: 1. You practically scolded the bride for not wanting the headache that usually comes from planning a large wedding. 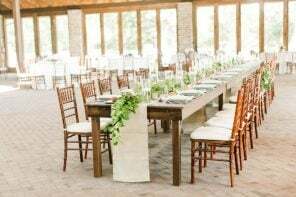 Let’s face it, a wedding reception is the biggest party most people will plan in their lifetimes, and most people are not good at party planning. The headache comes from multiple opinions and too many details, and a growing guest list. Of course that’s what wedding planners are for if you can afford one. 2. The only people that should be notified are the parents, but not if you are older and paying for things yourself, the blessing is not required but is a nice show of respect. 3. 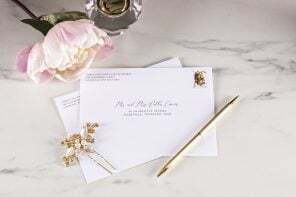 An announcement is a totally proper way to let the world know you’re married, while adding a line “no gifts please”, since you didn’t have the big wedding. 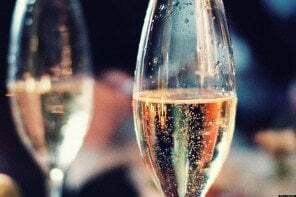 I think most brides know that is the big trade off, “no public ceremony, no gifts.” But I love the idea of the brunch or dinner party afterwards to tell everyone how everything played out for their elopement. The only reason I can these things, I was 40 at the time, first marriage, and I’m 18 years in on my Destination Elopement, and I wouldn’t trade planning every detail over the phone and how simple and easy it was for the world. I had every intention of planning a fairly medium size wedding and was well on my way, but met resistance from family on both sides with their ideas of what I should do and neither side wanted the same thing…and my mother who was going to sew bridesmaids dresses, became ill. Problem solved – get married where we were going to honeymoon. I have a wonderful story to tell and everyone gets a kick out of the details including the cake that made the trip on top of our clothes because I couldn’t get my deposit back. It was the most relaxed, beautiful, happy day, and the only person I had to entertain was my husband. That was a win win in my eyes.